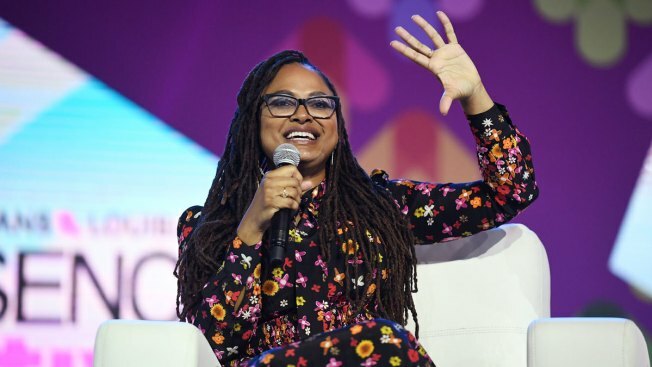 Ava DuVernay speaks onstage at the 2017 ESSENCE Festival presented by Coca-Cola at Ernest N. Morial Convention Center on July 1, 2017 in New Orleans, Louisiana. DuVernay is one of the recipients of the Smithsonian magazine's American Ingenuity Awards. Movie director Ava DuVernay and the creators behind Sesame Street's first Muppet on the autism spectrum have been awarded the Smithsonian magazine's American Ingenuity Awards. The recipients of the 6th annual award were announced Thursday morning. The award honors recipients in eight categories: technology, performing arts, visual arts, life sciences, physical sciences, history, social projects and youth. DuVernay, director of the movie "Selma," was honored for visual arts, while the Sesame Workshop, the non-profit organization behind Sesame Street, received the award for social progress for introducing the Muppet character Julia as a means of explaining autism to children. Other 2017 recipients include musician John Legend, NASA scientist Natalie Batalha, Stanford University neurosurgery chief Gary Steinberg, and Jony Ive, the chief design officer for Apple. The winners will be honored in December's edition of Smithsonian Magazine and at a Nov. 29 ceremony at Washington's National Portrait Gallery. Presenters will include iconic composer and music producer Quincy Jones and famed saxophonist Brandon Marsalis. As part of the awards announcement, the Smithsonian Institute also announced the launch of its first-ever Smithsonian Ingenuity Festival. Starting on Nov. 15, and continuing through early December with a series of events featuring this year's American Ingenuity recipients.